While there are people who still prefer full-time employment in traditional office spaces, more and more workers are looking for flexible work options and short-term jobs. This phenomenon is known as the Gig Economy. Loosely defined as a workforce that prefers temporary positions (think freelance or contract jobs over full-time jobs), the gig economy is rapidly gaining in popularity. A study by Intuit claimed that by the year 2020 (just four short years away), about 40 percent of the American workforce would be independent contractors. One big reason for this shift in the work landscape stems from millennial attitudes around work and life. The sweet spot of the workforce, millennials favor flexibility, fun, and freedom in their work. They believe in finding purpose in their work, and want to have a good work-life balance, as opposed to their baby boomer parents who were known for working longer hours. They don’t want to be locked in to any one position, and understand that flexible work can help them achieve their dreams of making their work life and their personal life more cohesive—and happier. Another impetus for the gig economy is the natural integration of technology into our work lives. 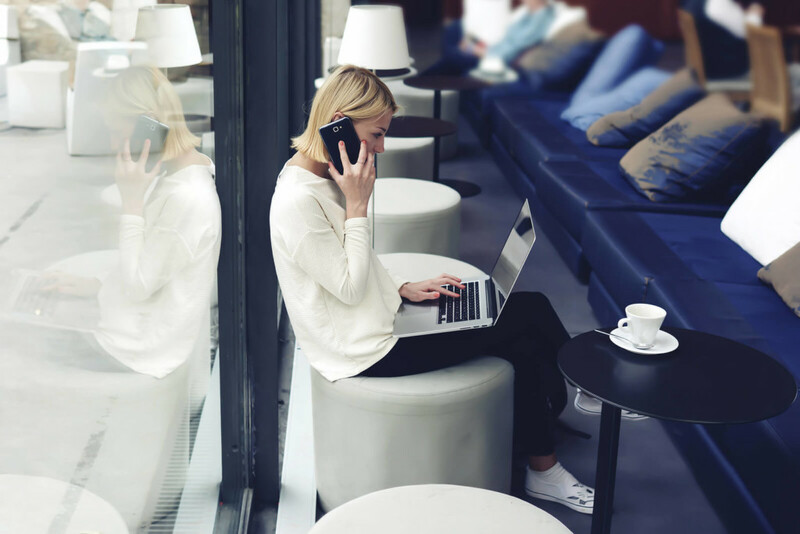 With collaboration tools, communication options, and organizational apps, it’s easier than ever for work to take place outside of the office—and anywhere a remote worker chooses. Since people don’t necessarily have to work in an office all day long, they are choosing to pick and choose the projects and gigs they want, rather than locking themselves into only one full-time telecommuting job. But make no mistake: the gig economy is not solely comprised of just per diem gigs or week-long projects. A freelancer might have a full-time telecommuting job that’s seasonal, or might opt for a part-time remote job, an assortment of freelance gigs in addition to or separately from a full-time or part-time job, or any arrangement of the above. The gig economy is not so much about the work schedule of a particular position (i.e. full-time, part-time, seasonal, etc), but rather creating a combination of jobs that makes sense for a worker’s professional and personal needs at that moment in time. For employers, a gig economy can be highly beneficial. With remote workers as part of their workforce, employers stand to save thousands of dollars by having reduced office space—or none at all. They also save on the costs associated with running an office, from electricity to office equipment, and more. More controversially, employers might not pay their freelancers benefits like medical, dental, or even a 401K. It also frees up companies to hire top-tier talent for various projects and assignments since the other costs associated with having an in-office staff are eliminated. The gig economy is certainly here to stay, and should be embraced by both workers and employers alike for the many benefits it stands to offer. I would like to work from home, however I found jobs that were not legit. Could you guide me in the right direction? Hi Gail! Thanks for your comment. While it’s crucial to be aware of the many scams that exist around “work from home” jobs, there are plenty of legitimate telecommuting jobs out there! A good place to start is our “1MFWF coalition” — many of the organizations involved either help people find flexible work or are hiring for flexible positions. Best of luck!